It’s strange how memory operates. What we reminisce, by whom and when. How the brain selectively paints words on our memory that decades later are unearthed in the deep, dark stains of time. Those heated words in an argument, the scattered conversation of pre-schoolers, or that uncomfortable moment of saying good-bye to a first love. We can be teased and tortured in their playback, until the Chinese whispers of memory invade a psyche and change our thoughts, feelings, and responses to situations. In my brief research into Neuroscience, I found information that states our senses and emotional connection can contribute to recollection, but distracting information is forgotten in consolidating efficient memory storage. So it seems somewhere in our little scatters of events those that connect with us remain and some are forever left behind. Which makes it strange that the philosophy of an acquaintance still appears in my head surpassing even the seemingly easy task of remembering where I put my keys. An unusual tall man, flittered into my life leaving the memory of long dreadlocks and tanned skin, but his name has somewhere been forgotten. Regardless, something he said left an imprint. Having lunch with a friend recently, a like conversation arose about how some places carry an ambiance or mood. She experienced this arriving at a place she’d never been and knew little about, however, as soon as she left the car, she felt uncomfortable. Perhaps a sixth sense? Perhaps cues in our surrounds sending us messages and it comes down to our interpretation? Or perhaps history carries a memory that will forever be imprinted. And how does this relate to Tasmania? I’ll explain. 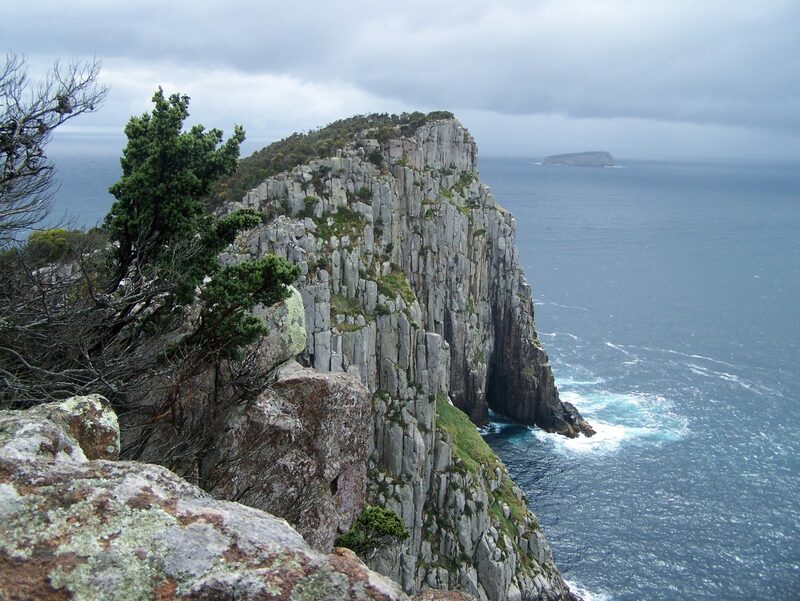 Tasmania was initially inhabited by an indigenous population dating back more than 35,000 years. In more recent history, it was 1642 when the Dutch Explorer Abel Tasman first discovered the island. By 1772 a French expedition landed, but it was 1803 when Britain established the first colony named: Van Diemen’s Land. 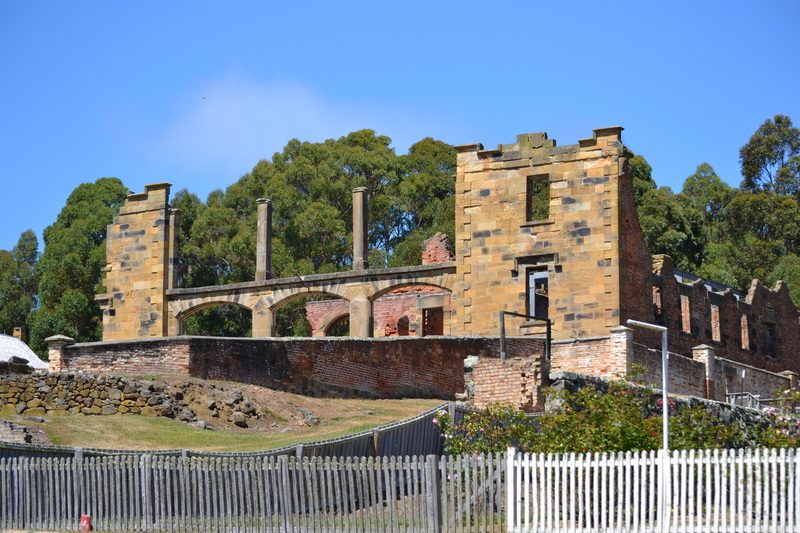 In our early years of British Settlement, we were comprised mostly of convicts and military guards as prisoners were sent to Port Arthur, Australia’s primary Penal Colony established in 1833. Located on the Tasman Peninsula and surrounded by water it was a place where escapability was mostly impossible, and solitary confinement and food were used for behaviour reinforcement. These psychological and supposedly modern punishment techniques gave it a reputation like no other and have created a place with the longest memory. By the time it closed in 1877, the stories around the lives of our forefathers seem encumbered by horrific tales. The chequered history extends to the 20th century where I feel compelled to mention that in April 1996 it was the place where one of the world’s worst massacres unfolded. Out of respect to those family members living, I do not wish to write about this event. 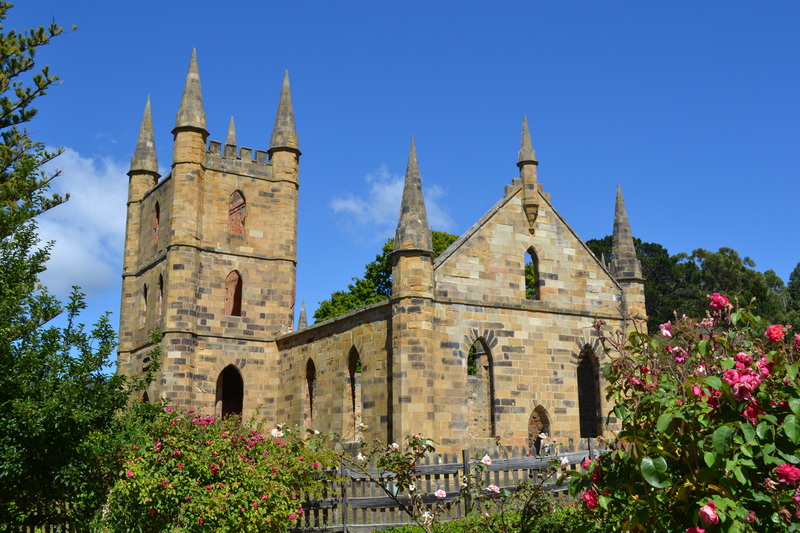 (For more information on Port Arthur visit http://en.wikipedia.org/wiki/Port_Arthur,_Tasmania). The darkness of its centuries old history can be overwhelming. But as a history buff, I find beauty in the crumbled sandstone and remains, reflecting onto window into the lives of those who previously lived. 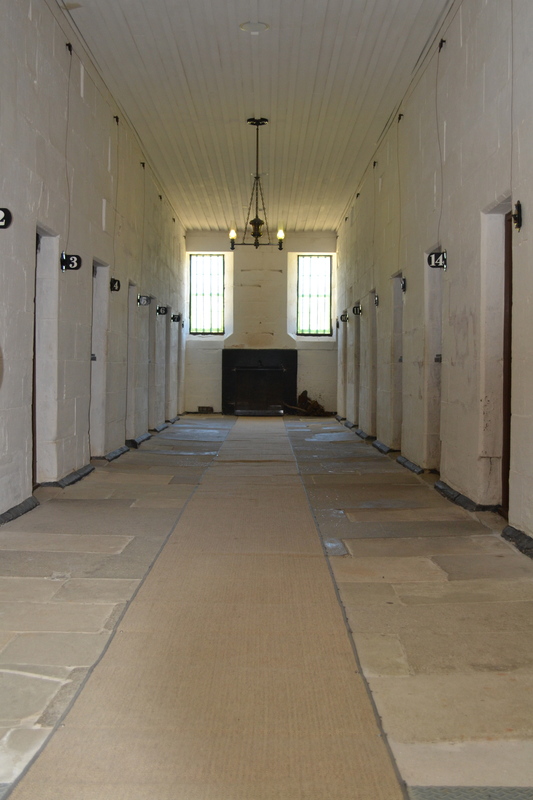 The convict site including a church, prison, houses and asylum, stand exquisitely. Where darkness once flourished, hundreds of thousands of tourists visit annually to peer into the past of its former inhabitants. Their stories are complex, fascinating, and painstakingly shared amongst visitors through exhibits, tales and the popular ghost tours. It is strange that a place with such history provides me with a sense of reverence in the daylight. Perhaps it is the overwhelming nature of the stories, and the gratitude that it is from a bygone era? Or perhaps it is the stillness and solitude of the area that overshadows. However beautiful by daylight, it cannot ignore the violent history. Pausing and reflecting on the happenings of years gone by, on the same soil that rained blood of the previous, is quite humbling. At night is when the footprint of horror is really felt, particularly if you undertake a Ghost Tour. On one occasion the ghost tour provided a friend (and the tour) with the most frightening of frights. Beginning in the main complex, under the cover of darkness (but with flashlights), the energetic tour guide led participants into places where hell and heaven both existed. Telling tales and fables of the previous inhabitants and how many could see them still wandering the place centuries later. On this particular tour in a cold, dark cellar, the tour leader had his audience deliciously scared; talking about the previous medical marvels and autopsies carried out on the huge, cold, stone table. In a cold wintery eve, people hung off his every word. And to add to the dramatics, he used a fake, human skull prop to describe the atrocities. At a moment when he needed to catch a breath, he put the skull on the table. And under the darkness, in the silence of the night, the skull moved. Fast, all by itself, straight across the stone table, the audience firstly watched in fascination and then horror as they turned to see fearful surprise on the guide’s face. It certainly paints a dramatic picture of frightened faces by candlelight light, desperately wondering what was going on. And from underneath this skull what should appear? A tiny, little mouse. Terrified as the rest it scurried quickly away with the obvious stage fright at seeing a lively audience. And the fear turned to laughter as the group uncontrollable bellowed for about 5 minutes. It was a reminder that even in the darkest of places, even the littlest, the smallest, can bring an audience to its knees. That even in the shallowest recess underground, laughter can be found. And that even the most insignificant have a story, a story which will remain. A story, which can for a moment, cut through where horrors once were. A story that can imprint something evocative and seemingly meaningless at the time. A story which shakes us to our very core. And a story that can remain on the memory of those that visit, forever.